We haven’t had a chance to blog in awhile because we’ve been very busy getting some new features into MemberMouse but we wanted to take a second to let you know some of the new updates since the last blog posts. We added multiple new ways to optimize and provide flexibility in creating memberships and product bundles. Expiring Memberships – With expiring memberships you can set a time period for how long a membership lasts. Once the membership expires the member will be not have access to your content and will be required to repurchase that membership or upgrade them to a new one. These are great for training programs that members might look at regularly for a given period of time or seasonal offerings. Easy Payment Plans – You’ve probably seen them on TV or some of your direct mail advertising. Easy payments plan are great way to break down a one-time payment into a multi-part payment. For example if your offering is normally a $200 one time payment, you can break that down into 4 easy payments of $50 over your desired time frame (i.e. every X number of days, months, years). Definitely a great way to lessen the lump sum payment shock and make purchasing your program easier on the customer. MailChimp Integration – We’ve completed the email integration with one of the most popular email providers available. And we’re proud to say that this integration goes above and beyond what you’ll see in other tools. 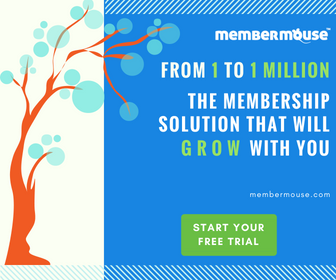 With the MemberMouse & MailChimp integration, members are automatically subscribed to lists based on their membership levels. And as a member’s membership level changes or they cancel, the MemberMouse system automatically updates them in MailChimp by unsubscribing them from the previous list and subscribing them to the new list. And we’ve even including a prospecting list that lets you pull in people who aren’t yet a member but will be soon once they get your amazing emails. Once they become a member, they will be moved from the prospect list to the proper membership level’s list. And the best part is you’ll never have to worry about CSV importing anymore! Everything is handled for you automatically with MemberMouse. Rescue Abandoned Carts – MemberMouse now saves the registration data even if the potential member doesnâ€™t complete the payment process. This provides you with a way to rescue those lost registrations. Employee Accounts – You can now create employee account with restricted access to the MemberMouse backend. This way your support employees can’t accidentally edit your MemberMouse settings. Logout Core Page – We’ve added a new core page when a member logs out. You can now customize the logout page to ve specific to certain membership levels. Paypal Integration – We’ve add Paypal as a new payment solution. Now you can take payments with a standard Paypal account. Authorize.net Integration – With the Authorize.net integration, you can now take credit card payments directly on your membership site without taking the potential member off your site. ClickBank Integration – We’ve also added Clickbank as a new payment solution. The unique thing about our Clickbank integration is that you can run Clickbank, Paypal, & Authorize.net all on one membership site. Keep your eyes out for more updates coming in the next few weeks. We’ve got a great addition to the registration process coming as well as the iContact and Aweber email provider integrations.